Additive Industries has announced it has received a total €10 million loan from BOM Brabant Ventures and Highlands, a shareholder of the additive manufacturing vendor. The company aims to harness this investment to accelerate its growth across the world, introducing its 3D printing technology into new markets. Since Additive Industries was founded in 2012, Highlands has been a stable financing partner for the company. 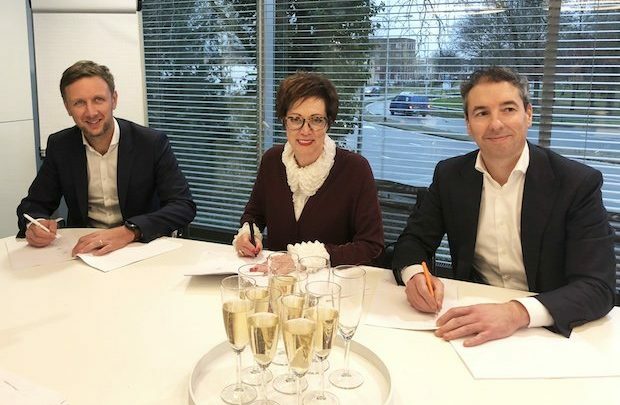 In this latest phase of investment, its backing of the Eindhoven-based AM company has been supplemented by BOM Brabant Venture, an investment company whose aim is to accelerate growth of companies set to have a social impact within the Brabant province. Additive Industries launched its MetalFAB1 system in 2015 and has since established itself within a number of vertical markets, including the aerospace and automotive industries. APWorks, a business formerly owned by Airbus and now under the Premium Aerotec umbrella, was among the early adopters of the system, while in the closing months of 2018, Sauber F1 installed a third machine, while Additive Industries was listed among a host of collaborators as GKN Aerospace opened a £32m UK facility in December. Additive Industries is set to harness the investment to improve its R&D, focusing on both technology and application opportunities, as well as strengthening its support infrastructure. “We are proud to be financing Additive Industries’ growth plans and assist the ambitious management team to expand their global footprint,” added Miriam Dragsta, CCO, Brabant Development Agency (BOM).